Zari the boss lady turned a year older this past weekend and as usual she had to celebrate in style. Like always most of her friends sent her special messages on social media wishing her nothing but the best. Among those who were first to celebrate her is her baby daddy Diamond Platnumz. Through his Instagram page the Bongo singer sent the mother of his two kids a message that has left social media users talking. 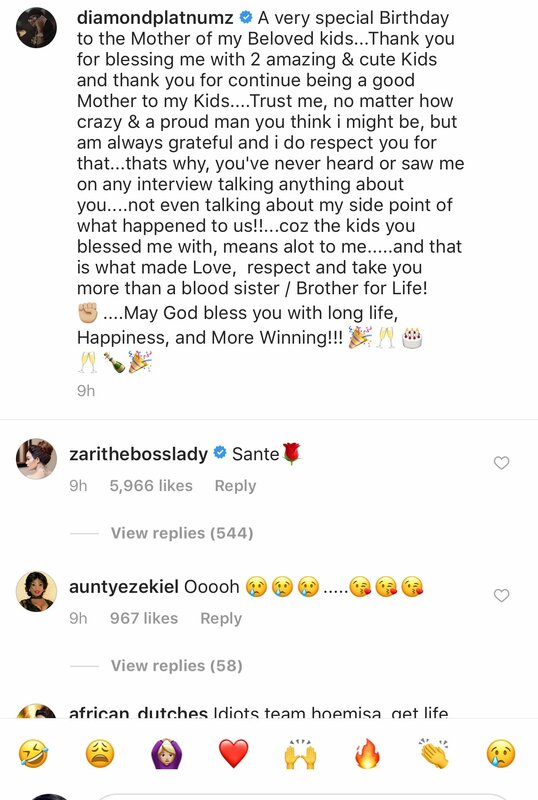 Surprisingly he went on to reveal how much he respects Zari and appreciates her for giving him lovely kids. He also went on to say that she was special to him unlike what many thought. 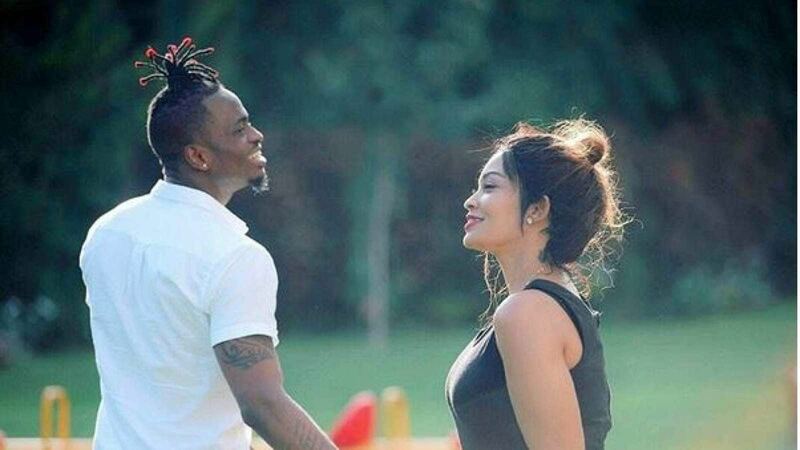 Well, having closed her chapter with Diamond Platnumz…Zari responded in a one word comment. Not quite sure why she chose to be brief but word has it that she is currently in a very serious relationship with Bryan White; a Ugandan tycoon who apparently gifted her with a V8 a few weeks ago. Anyway check out her response below.